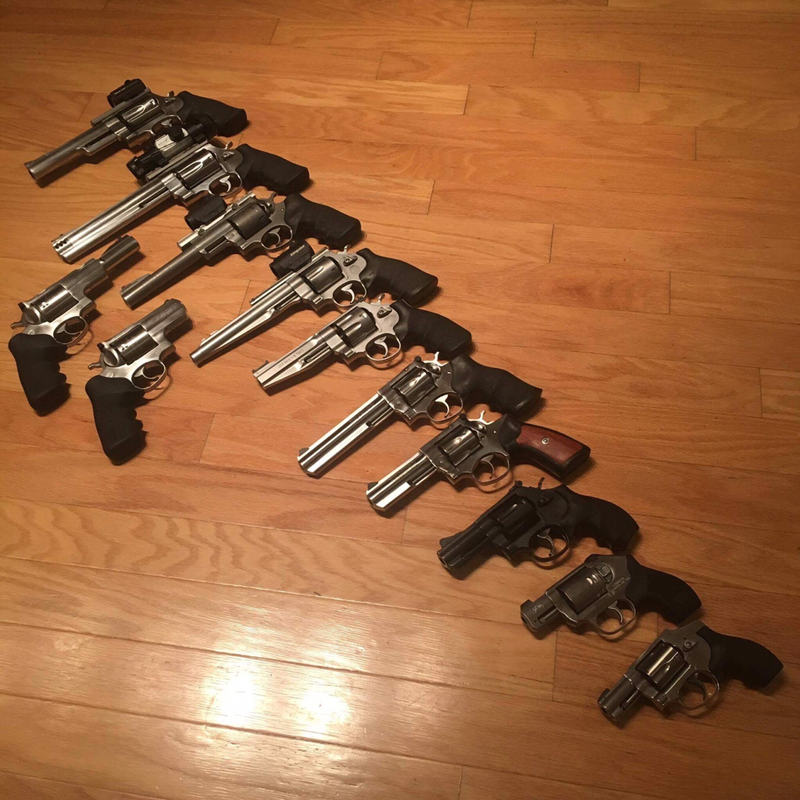 I was always a 357 Magnum guy, at the most. I love my 627 8 shot 357 Performance Center and 586 L-Comp 7 shot. I never thought I would go beyond it. I'm not a flincher but I didn't want to develop one with the bigger calibers. 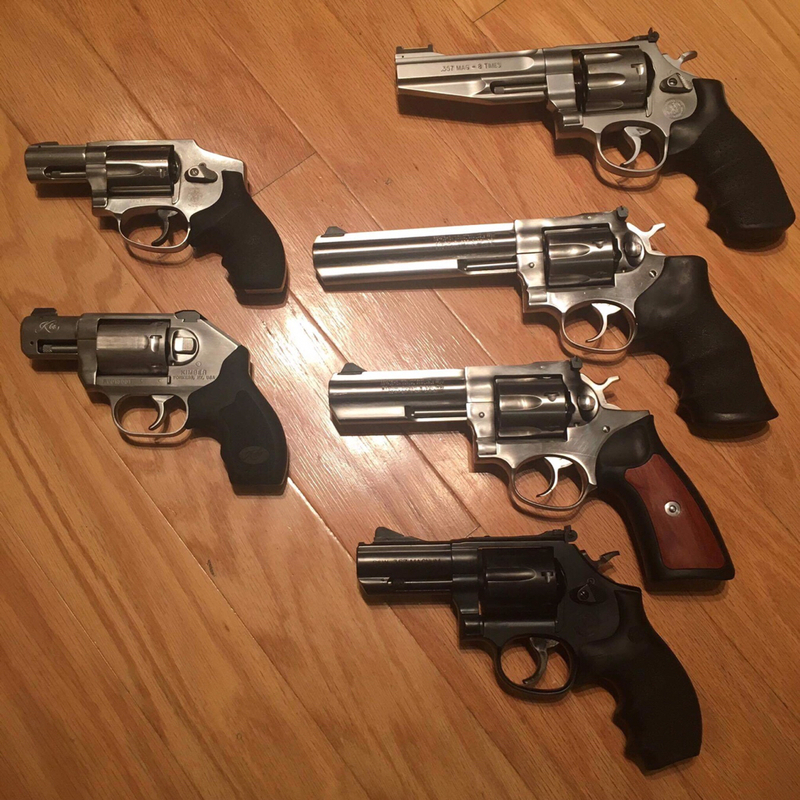 Now I already only shoot 357 Magnums in a Snubby but my friend warmed me up to 38 +P, too. So I have alternated, on occasions. My carry is a Kimber K6S with 158 gr JHP as a backup to my Glock 19 MOS. 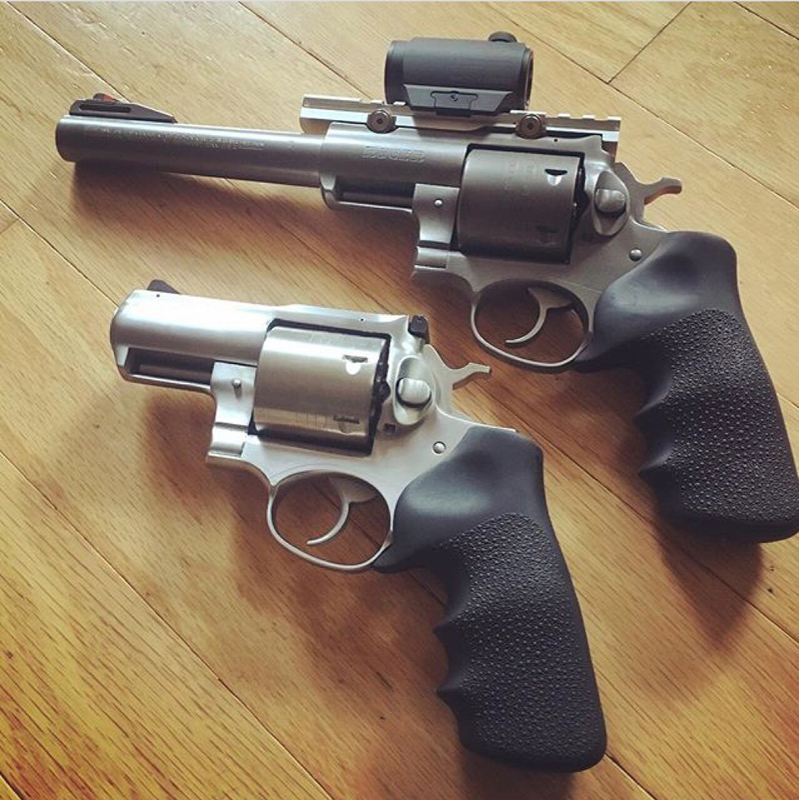 One day I saw a S&W 629 at a gun show. I told my friend about it and said, "Don't be surprised if I got it." 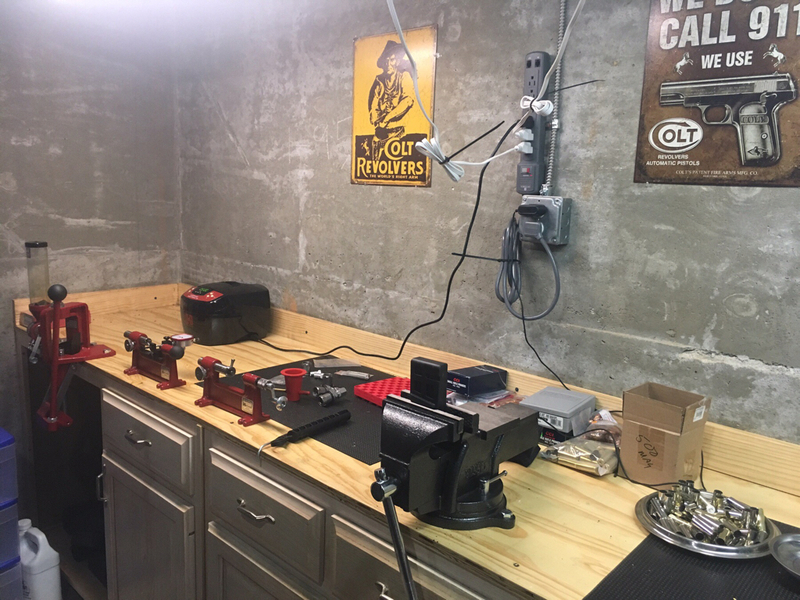 He gave me an offer I couldn't refuse, his 44, a red dot, a reloading press and reloading supplies....it was an offer I couldn't refuse. Particularly for how much he offered it for. 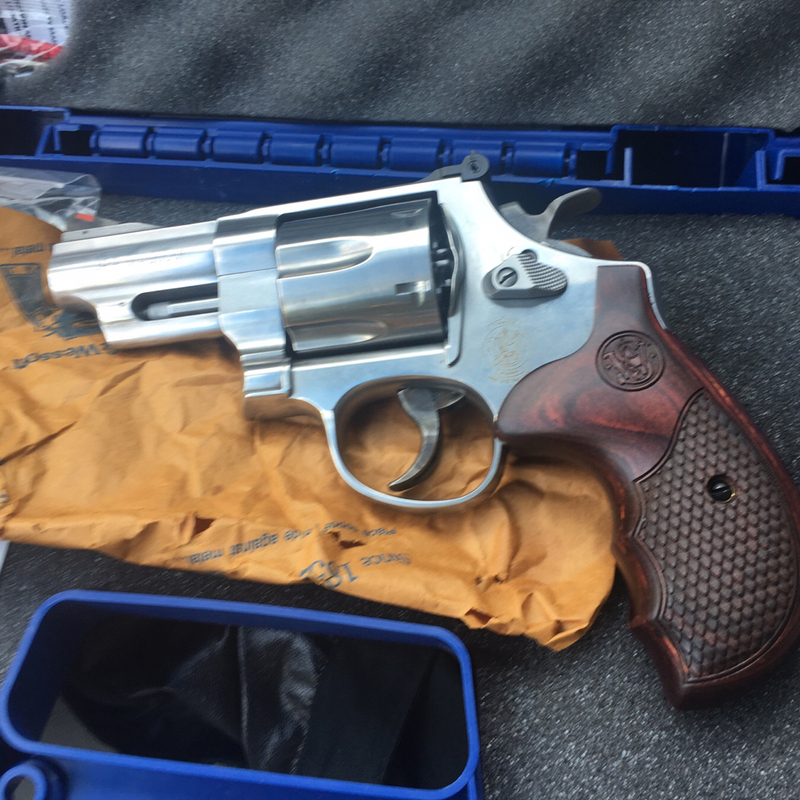 My first big bore was my friend's S&W PC 629 Hunter. Great trigger. Shooting with a red dot is child's play. Problem with high magnification scopes is the accentuated drift with higher power. I prefer 1X. My friend gave me his Dillon 450 progressive, along with supplies, with the 629 and red dot. I took to it very well, and recoil wasn't bad. 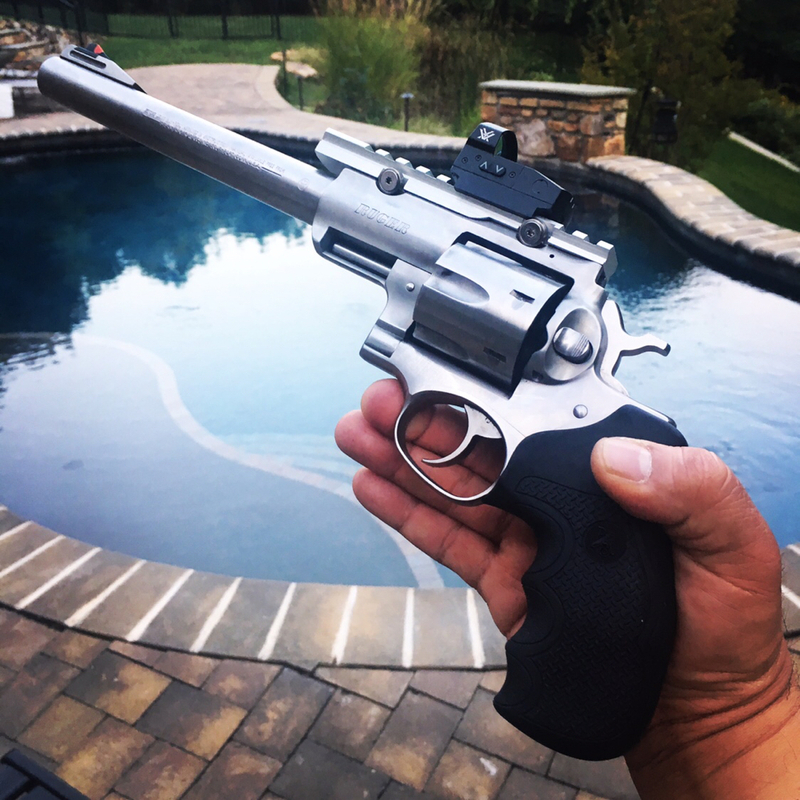 Not like a 357 Magnum Snubby. I traded a rifle for my first Ruger Big Bore. 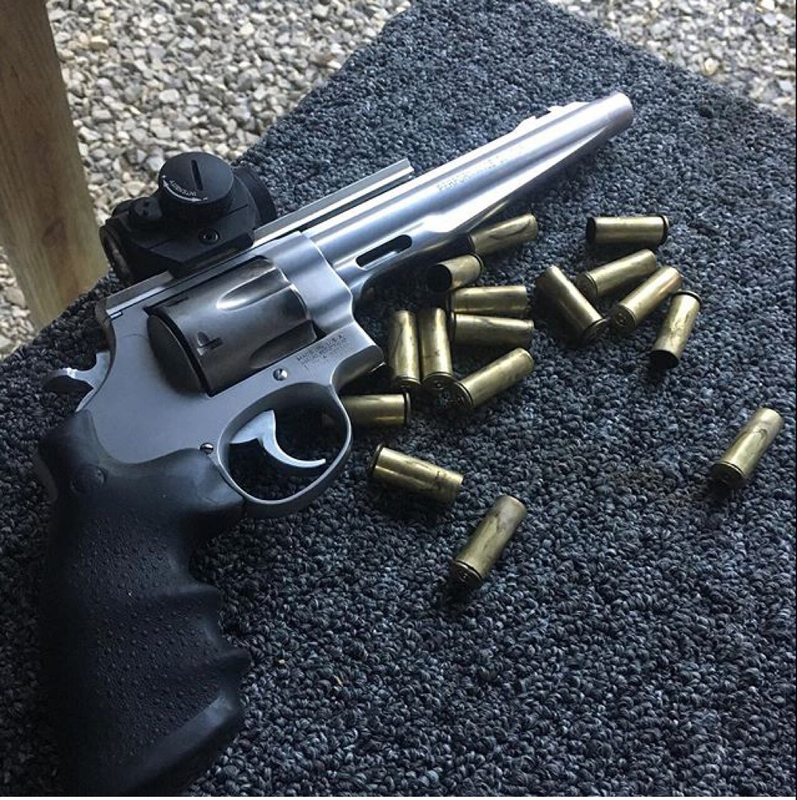 It was a SRH 454 Casull. It handles recoil very easily. I only load 454 Casull into it. Some people like to just shoot Colt 45/+P. I then moved up to the Smith 500 Magnum. I love the power and my favorite load is Hornady XTP 350 gr. It has been a learning curve for the 500 since there isn't a lot of data in each book so I bought the Speer, Hornady and Lyman. I've also loaded 500 gr 500 Magnums. Hahahaha. Very spicy. Haven't gotten my hands on a 700+ grain yet, but I want to try it. Reading about the flatter shooting 460 XVR I decided to acquire that, also. Flat shooter out to 200 yards with a 200 gr bullet. I started reloading for these guys in a single stage Hornady Lock N Load. 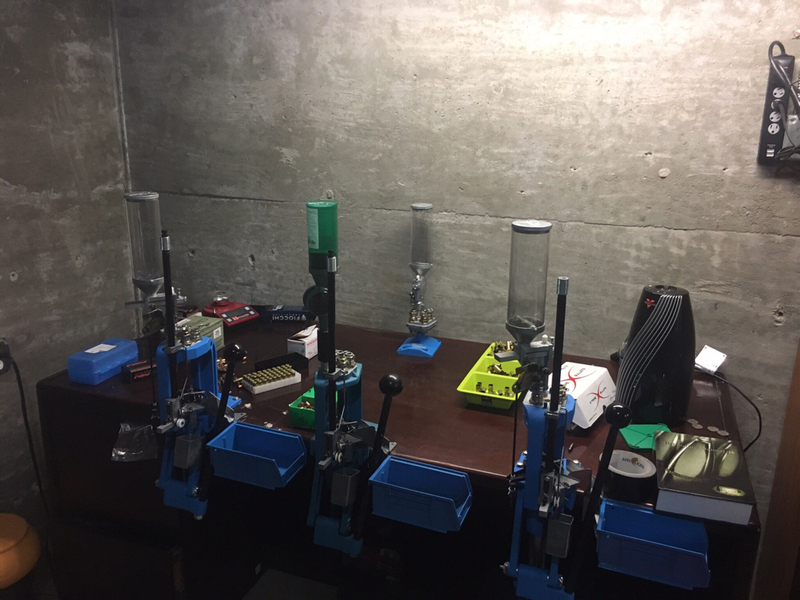 I did get three different powder measures for each large bore: 454 Casull, 460 and the 500 Magnum. Wanting something as a bear defensive gun, too, I was torn between the Alaskan and Toklat, so I got both, in 454 Casull. Seeing that I can handle the large bores, I wanted a 44 Snubby. 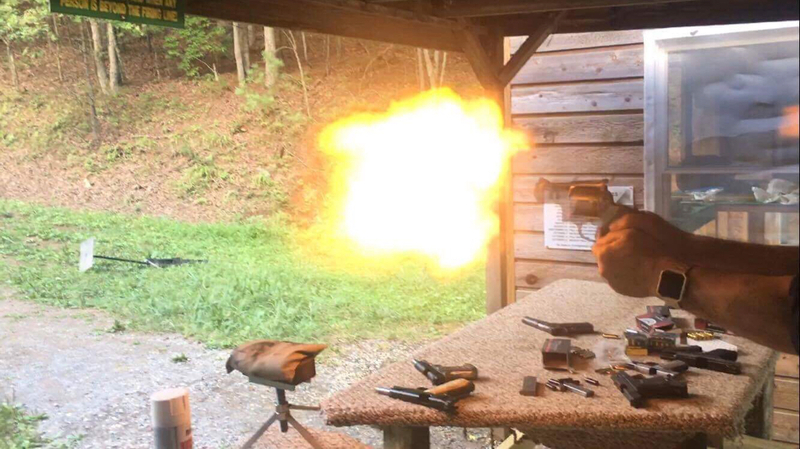 Just for fun in the lighter 240 gr loads, but it can handle hot Buffalo Bore 44, too. It all started LAST FALL when he sold me my first 44 Magnum. If you can handle a 357 Snubby, and you don't flinch. You can handle virtually any other caliber, in my opinion. Last edited by CDR_Glock; 09-18-2017 at 05:25 PM. That's nice. We're having a hurricane party until we lose electric. Bring on the looters. CDR_Glock and barstoolguru like this. Damn CDR! You have the revolvers! My dad knew a part time deputy in Oklahoma that carried a 8 or 9 shot .357. It was mighty big and so was he. I am thinking 6" barrel too. I have an 8 shot 5" 627. Never heard of a 10 shot but that would be big. I can handle a 3" 44 Magnum with multiple shots pretty easily. A 454 isn't bad either. 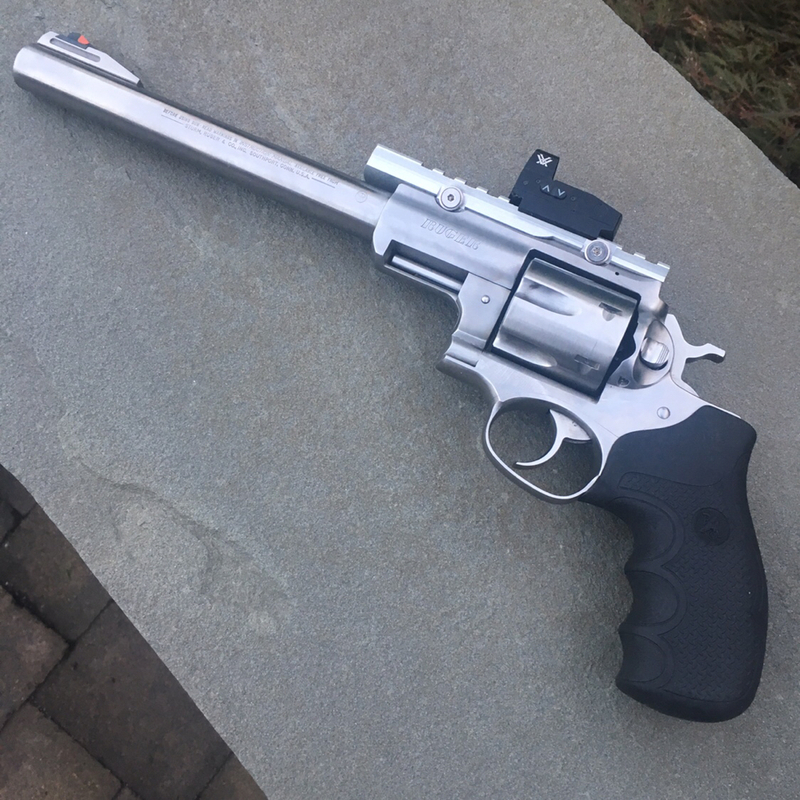 I added a spare red dot onto my latest acquisition, a Ruger Super Redhawk 44 Magnum. 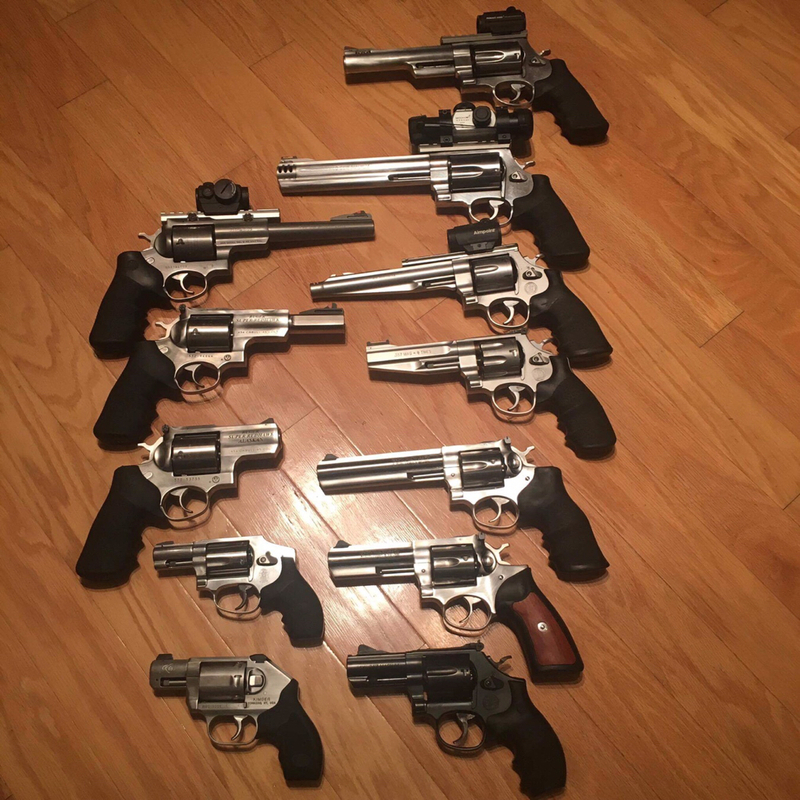 Wow that's a great collection you have in wheel guns. 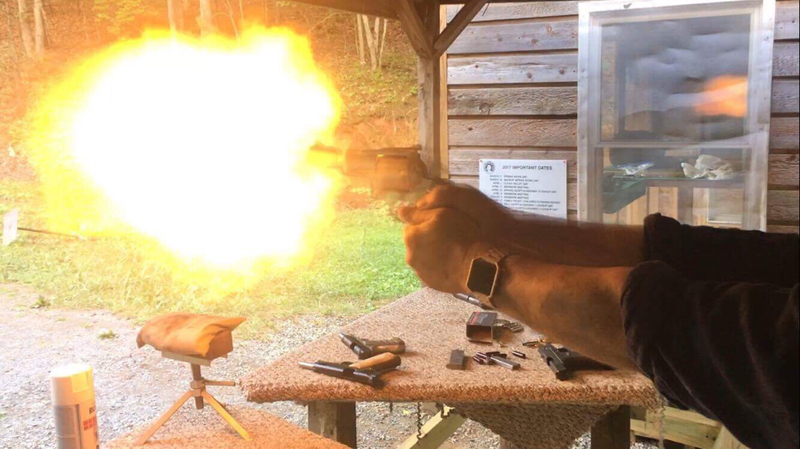 Do any of your revolvers or semi auto's have a laser? 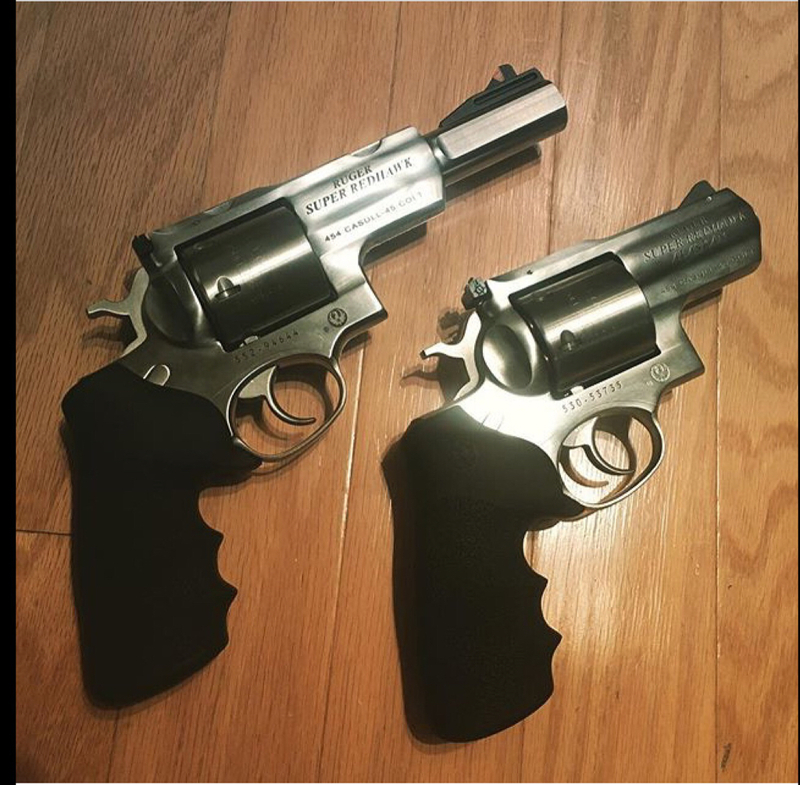 Tyler T grip..anyone use them on their S&W J frame revolvers?